Cooking foods on a grill or smoking them in a pit bring out rich, earthy flavors and make a variety of foods take on exciting new taste dimensions. As it turns out, the same effect happens when you add smoky ingredients to your frozen concoctions. Whether incorporating grilled fruit or ingredients with a little heat, infusing your frozen margaritas with smoky flavors takes them to a whole new level of taste. Smoky frozen margaritas are the perfect drink to serve up at your next cookout, as they complement a variety of grilled dishes, from steak kebabs to shrimp skewers. The key to crafting delicious smoky frozen margaritas is balancing the flavor with sweetness so that the end result is smooth and easy to drink. The four recipes below are a great place to start on your smoky-sweet frozen margarita journey. Consider it the perfect meeting of fire and ice! Pineapple is delicious on its own, but toss it on the grill to bring out even more of its sweet flavor with a smoky twist. Combine grilled pineapple with fresh mint leaves and you've got yourself a party-ready smoky-sweet margarita to enjoy all season long. 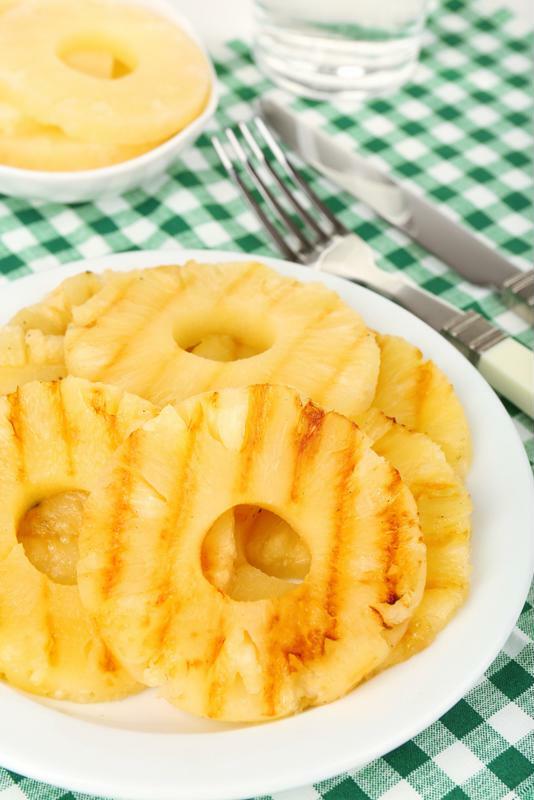 Grill the pineapple rings for 2-3 minutes, or until light brown grill marks appear. Add pineapple rings and remaining ingredients to your Margaritaville® Bali™ Frozen Concoction Maker® with Self Dispenser. Select the Ritas setting and hit the switch to mix your frozen concoction to the perfect consistency. Rim glasses with salt. Dispense the frozen concoction into margarita glasses and garnish with mint sprigs before enjoying. Add grilled pineapple to your frozen margaritas for smoky-sweet flavor. If you want an authentically smoky frozen margarita, reach for mezcal instead of tequila. A close relative of tequila, mezcal is traditionally grilled in a pit in the ground, which gives the spirit a unique smoky-sweet flavor that's much more intense than that of tequila. Other smoky ingredients aren't necessary in this recipe - the mezcal does all the work! Add all ingredients to your Margaritaville® Bali™ Frozen Concoction Maker® with Self Dispenser. Select the Ritas setting and hit the switch to mix your frozen concoction to the perfect consistency. Rim glasses with salt. Dispense the frozen concoction into margarita glasses and garnish with lime wedges before enjoying. Jalapenos do much more than add a kick to your drink - when grilled, they develop a delicious smoky-sweet flavor that adds extra depth to the basic frozen margarita. In this recipe, ripe, juicy mango mixed with grilled jalapenos makes for a unique frozen margarita that guests at your cookout will love. Grill jalapeno halves until lightly browned, about 2-3 minutes. Remove from heat and mince. Add jalapenos and remaining ingredients to your Margaritaville® Bali™ Frozen Concoction Maker® with Self Dispenser. Select the Ritas setting and hit the switch to mix your frozen concoction to the perfect consistency. Rim glasses with brown sugar. Dispense the frozen concoction into margarita glasses and garnish with lime wedges before enjoying. Apples aren't the typical ingredient in a margarita, but when grilled and combined with earthy rosemary, the fruit adds an unexpectedly robust flavor to the frozen concoction. Place apple slices on grill and top with rosemary sprigs. Grill until slightly browned, about 2-3 minutes. Add apples, rosemary and remaining ingredients to your Margaritaville® Bali™ Frozen Concoction Maker® with Self Dispenser. Select the Ritas setting and hit the switch to mix your frozen concoction to the perfect consistency. Rim glasses with brown sugar. Dispense the frozen concoction into margarita glasses and garnish with apple slices before enjoying.